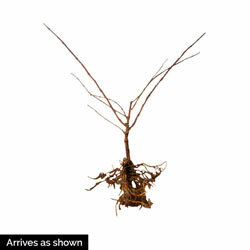 Growing this "tree" is all about taking the long, scenic route. Peegee will be lovely in the first couple years. Then, as it continues to mature, it becomes more and more irresistably striking. 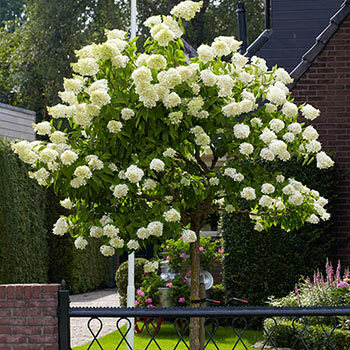 You can easily prune and maintain a nice shape as it grows, as it blooms on new wood, you're still going to get a good bloom season out of it. The flowers arrive in July and stay through September. They are beautiful, starting a stark, ivory white and taking on dusty pink tones. You can cut and dry them for beautiful indoor arrangements, or let them dry to a lovely wheat gold on the plant, where they provide winter interest. 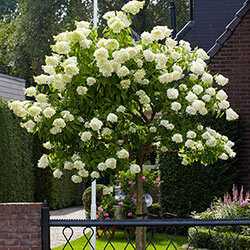 As this plant builds a long, strong "trunk" and grows up to 8-12', it's ideal for a landscaping accent and creating multiple levels of interest in the garden. Put it in the front yard for traffic stopping curb appeal.